Alper Kara has joined Huddersfield Business School as a Professor of Finance in November 2017. Previously, he was a lecturer and a senior lecturer at the Loughborough University’s School of Business Economics and Director of MSc Programmes at the Hull University Business School. During his PhD he also worked in various capacities at the Universities of Leicester, Bangor and Robert Gordon. Prior to his academic career, Alper was a trader in international bond and foreign exchange markets and worked in the banking industry for five years. 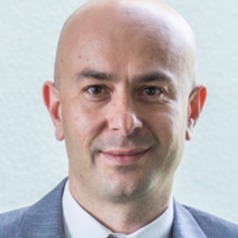 Alper's research agenda is multidisciplinary and, broadly, related to the stability of the financial system and well-being of its participants (i.e. banks, corporates, SMEs and households). It covers topics in asset- and mortgage-backed securitization (pricing and performance) and its impact on banks and the financial system, financial exclusion of ethnic minorities and equality in access to finance (for households and SMEs), bank governance mechanism and its implications on risk management, and syndicated loans as a choice for corporate borrowing and bank lending. He has published in world leading journals and co-authored three books on Securitization, Banking and Syndicated Loans. His work has featured in globally important policy making institutions’ research outlets such as the Federal Reserve Bank, the European Central Bank, International Monetary Fund and Bank of International Settlements. Alper has been awarded research grants from British Academy, Nuffield Foundation and Banco Central do Brasil for his work. He has also acted as a research consultant to the European Central Bank on various occasions and as an Expert Advisor to Europe Economics Consultancy on their European Commission Project. Since 2004, Alper taught a spectrum of finance, banking and economics modules both at the undergraduate and postgraduate level (MSc, MBA and Executive Education) – including overseas programmes in Singapore, Hong Kong, Bahrain and Kazakhstan. He acts(acted) as an external examiner for Finance and Banking related UG and PG programmes/modules in a number of business schools in the UK.